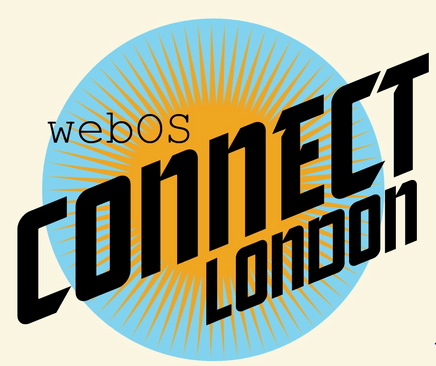 On Wednesday, all manner of webOS developers and fans descended on Shoreditch in London for HP's webOS Connect event. HP's intention was to try and strengthen connections with developers in the UK, who up until now had felt very much like poor cousins to developers based in the USA, at least in the amount of care and attention they had received from Palm and HP. I chatted to many devs during the event, trying to find how they felt HP were doing in this regard. The answer from most of those I spoke to was basically, 'We have felt more or less ignored in the webOS years, but at least HP is now making the effort'. It's perhaps unfair to blame HP for the past mistakes of Palm, and maybe even unfair on Palm, who after all were tiny compared to rivals such as Google and Apple. Developer relations were understandably limited across the Atlantic. Excuses aside, the general feeling from the event was overwhelmingly positive. There were a few speakers, notably HP's Richard Kerris, who was really quite open about the current state of developing for webOS. The message? 'We are not there yet, we know this, but we are getting there'. Kerris also announced a few key upcoming features for the webOS App Catalog, which we unfortunately can't disclose, but suffice to say they will bring the platform more in line with Android and iOS. The other speakers came from a range of developers, with a Guardian app for webOS all but announced as well as a presentation from the developer of the Tesco apps for other phones. No Tesco app was announced, but I would say there is a good chance there will be one available at some point in the future. Other apps shown included a Lemmings remake that has law suit written all over it, a convertor app for TouchPad and a few more utility apps. I spent a fair bit of time talking to developers about upcoming projects including an exciting one for retro gamers. 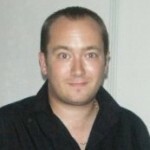 A developer has acquired the rights and source code to bring Beneath a Steel Sky and Broken Sword to webOS. The project is still in it's very early days, and we will update you when we know more. I also had a long and productive chat with the guys from Astraware games(pictured above: me annoying them until they spilled the beans), who divulged some interesting tidbits. They have a great sounding, brand new game in development for selected platforms, and I promise you, I will bring you much more on this as soon as I'm allowed. I'll give a hint for Astraware fans: it's a sequel to one of their most popular games, and it promises real innovation. Secondly, Astraware revealed to me all of the games that they are bringing to the HP TouchPad. Sorry, I can't let on what they are yet, but I will be bringing you exclusive details and screenshots very soon, so watch this space. Overall, a decent event and a good first step to HP truly connecting with UK developers.